Down with the Sickness PLUS Entries to the Asylum - 23rd-28th November 2015. Hi guys! Really sorry for the lack of updates here the past few days. Have been terribly ill, not just me, but the entire house. It was our son's 5th birthday last Sunday and he had the time of his life. He was spoiled rotten - a bit too much for his age - as we got him an Xbox One for his birthday. But he's been doing really well in school and he really, really wanted one (although within an hour of us setting it up, he asked where his 360 went *facepalm* ). We also got him a variety of games such as Minecraft, Terraria and Disney Infinity. Unsurprisingly though, he's still totally addicted to "the bike game" Trials Fusion, which he originally could only play in our livingroom as he could only play on our Xbox One. Our entries to the Asylum this past week have all been tainted by the evil mistress that is HMRC, too. With customs charges being laid upon them. - Fallout 4 Limited Edition Vault Boy PDP Xbox One Controller. This is a beauty, it really is. Cost approx £45 from Gamestop, if I remember correctly. Then another whopping £25 in customs charges. It's a lovely controller, but £70 is a bit hard to stomach for it. It is numbered however, with only 5040 of them in existence, so it's probably worth it! - S.H. Figuarts Dragon Ball Z Super Saiyan God Super Saiyan Son Goku Figure. - S.H. Figuarts Dragon Ball Z Golden Frieza Figure. - S.H. Figuarts Dragon Ball Z Ultimate Son Gohan Figure. - Figma Attack on Titan Eren Yaeger Figure. - Dragon Ball Z Resurrection "F" Limited Edition Bluray [Japan]. Again, also had to pay customs on the above. Seems like customs are being especially stringent just now, as nothing seems to be getting through. Also have a package to pick up from the delivery office from Aus, containing myself and fellow CE.org forum member Cosmic's recent Aussie preorders: Mad Max and Fallout 4 Editions from EB Games. That package is at a different delivery office (which I cannot get to) however, so I will be arranging for that to be redelivered sometime this week. And JUST CAUSE 3 is out TOMORROW. So what have you guys received recently? Entries to the Asylum - Thursday 19th November 2015. - Star Wars Battlefront w/ Pre-Order Bonus Steelbook [Xbox One]. - Mario Tennis: Ultra Smash Promo Sweatband. - Super Mario Bros. 30th Anniversary Pin. Loving the look of Battlefront so far, although I haven't played it yet - I wanted to play a bit more of Fallout 4 before I move onto something else - but I'm really enjoying watching Allan play it. Feel like I may have a shot of it tonight though, as even though I don't want to ditch Fallout 4 completely, something with a little change of pace is good. What have you guys received recently? Entries to the Asylum - Friday 13th - Sunday 15th November 2015. - Fallout 4 Limited Edition Beers. - Mortal Kombat X Kollector's Edition [Xbox One]. Now I know what you're thinking. "But you posted about the beers on Tuesday the 10th? ", and yes, I did. This is a second batch, haha. The first batch we got were missing the cardboard holder-y things that 4 packs of beer typically come in. The listing is for 12 beers, but it should have arrived as 3x 4-packs, according to other customers' reviews. I complained, thus we ended up with a replacement set, which low and behold were also missing the holders. So if anyone wants to be an absolute babe and send me even just one 4-pack with a holder, I'd be eternally grateful. The Mortal Kombat X edition was a bargain on Amazon. It has since gone back up to it's full price of near enough £60, but it dropped down for a small portion of the day on Wednesday, so we snapped two up (one for a friend's birthday gift). - Fallout 4 Limited Edition Accessory Bundle. - Fallout 4 "Charisma" Bobblehead. And the "Accessory Bundle" was something Tesco were selling on their website here, which contains a t-shirt (size L), a bottle opener and a 7" Vault Boy bobblehead (so bigger than the free one from GAME), packaged inside a "commemorative box". It's blue and yellow and has Vault Boy on it, that's all you really need to know about the box. Managed to get it for £12.50, but it has since gone up to £25. In all honesty, I wouldn't have spent £25 on it, but that may just be because I'm a cheapskate, but for £12.50 I couldn't complain. 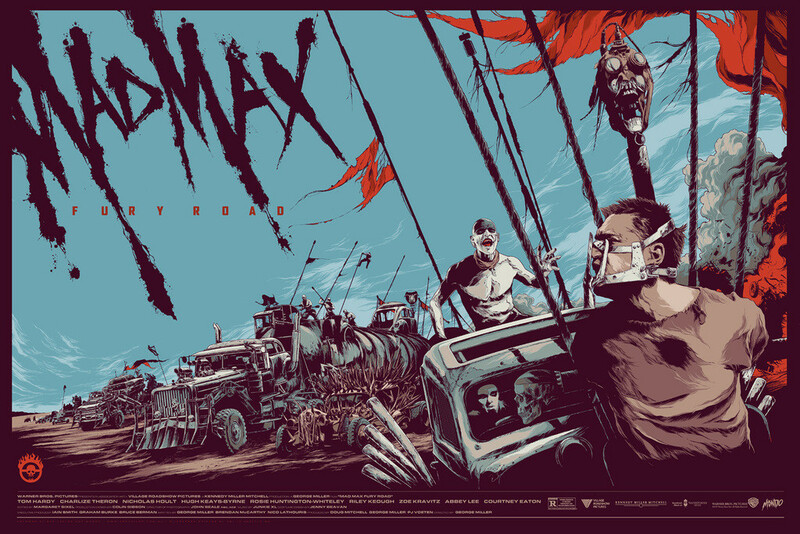 - Mad Max Fury Road Mondo Artwork. This absolutely stunning piece of art (which is even more amazing in real life!) was purchased as a gift for Allan, from me. He is a massive Mad Max fan, of both the original three, and Fury Road and I knew he'd love this. As soon as I saw it, I knew he had to have it, so I ordered it, and as I expected - he adores it. So now we need to get yet another frame to get this up on the wall ASAP. Heck, we still haven't bought frames for everything else we need framed, so we'll need to try and get that sorted soon. Just so frustrating how much frames cost, especially when you need like a million of them. Anyway, have you received anything cool this weekend? 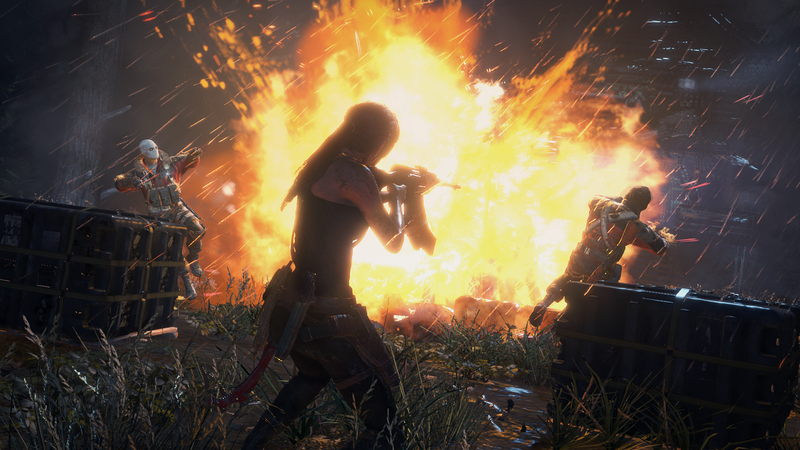 Asylum Reviews: Rise of the Tomb Raider [Xbox One]. 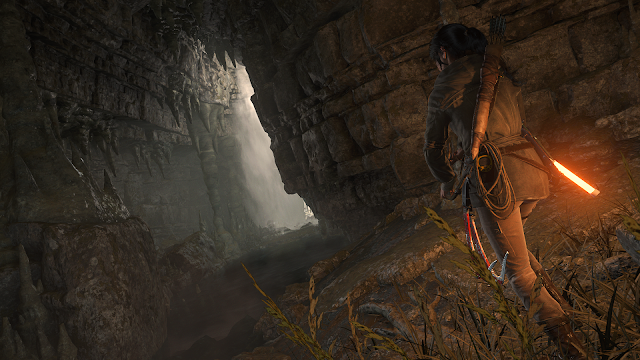 For over a week now, I've been paying Rise of the Tomb Raider every chance I get. It's very similar to the first in terms of gameplay and feel. And that's not a bad thing. As of this morning, I'm around halfway through the game. It is exciting and fun, and having been a huge fan of the 2013 reboot, it's very familiar, so getting used to controls was never a problem. I could dive right in with very little getting to grips with things. It's definitely a game I'm really enjoying, and I'm happy to see how the story pans out. Rise of the Tomb Raider sees Lara embark on a new adventure, to seek out what her father had been searching for before his death. In the icy setting of Siberia, we have her up against Trinity, battling against them as they race to find the "Divine Source", a extraordinary artifact that could be the answer to eternal life, which she has inadvertently led them straight to. We have new weapons and gear, the ability to change Lara's costume and you can also fulfill tasks for the local people that you will come across. The new gear, whilst easy to use and fantastic to play with, sometimes becomes slightly confusing as you try to rush through a tight spot and can't remember which of your expanded arsenal is correct. Is it the wire spool, which in effect turns your climbing axe into a grappling hook, or is it your bow to shoot a strong rope to swing across to the other side? Oh no wait, we used the wrong one and now we've plunged to our deaths. Aaand reload. The game does keep you gripped and make you want to journey on. Though there's not much in terms of "groundbreaking change" between this game and the last, it's definitely not something I'd fault it for. The formula works, so why change it? Obviously, at this point I'm yet to have 100% completed the game, even though I've been playing it a lot over the past week. I definitely like that it's longer than the previous one, as that was my one gripe that I had with it back in 2013. But I can honestly say that there's nothing big enough to really make me say anything bad about this game. The story is great (despite being quite a common theme), the gameplay is fun, the combat is fantastic - although melee is sometimes a tad off, in my opinion - the graphics are beautiful and I just loved it. The only thing that we did initially think was bad (until we realised it was a glitch) was the lack of aiming with your gun. From the beginning of a certain location in the game, and lasting for around 10 minutes or so (as we ran around this tiny spot confused on what to do), we had no reticule when aiming our gun (nor any HUD for our ammo in the top corner), and we lost the ability to pause, the ability to use survival instinct, and no info would come up when we picked up a collectible. This really frustrated us, as we hadn't yet used the gun before then, so weren't sure if this is just how it was, until maybe you unlocked the reticule via your upgrades at camp, but the lack of pause was infuriating, especially when you're wanting to check your progress. Luckily - or not so luckily, for Lara - Lara died when we couldn't aim properly to shoot a falling spiky block that was rushing towards us. And the checkpoint reloaded and woohoo, we finally had a reticule, thus realising that this was in fact a glitch and not some evil-doing of the development team. Allan started his own save and played past this part, not being affected by the glitch at all, so I'm glad to see it's not an outright bug affecting that portion of the game, but simply just something I'd randomly stumbled upon in my own playthrough. Overall, I'd definitely say that Rise of the Tomb Raider is worth purchasing, especially if you were a fan of the previous game. It's fun, it's interesting and it's definitely worth the time spent playing it. I just hope that continues on right until the end. It also looks outstanding and I'm really happy to have the game, as it's sure to be one that I play through to completion. I do think that releasing in the same week as Fallout 4 (same day for those of you in the US) however, was a big risk. I feel that all of the hype of Fallout 4 will have severely detracted from the hype surrounding this game, and thus the sales, and I hope that it doesn't hurt it too badly in the long run. 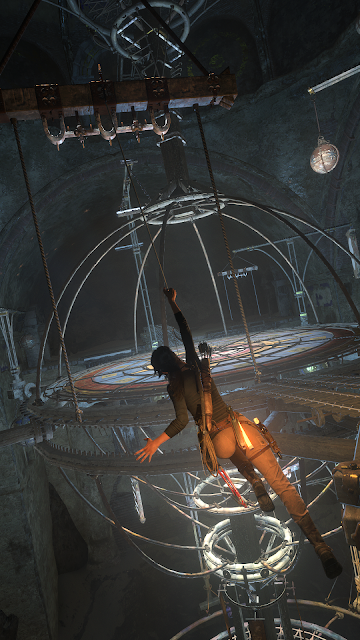 So, are you picking up Rise of the Tomb Raider when it's released tomorrow? Or are you so lost in Fallout 4 that you won't be buying another game till New Year? Entries to the Asylum - Tuesday 10th November 2015. Today is Fallout 4 day! - Fallout 4 Pip-Boy Edition [Xbox One]. - Limited Edition Fallout 4 Loot Crate. Also, we got the Limited Edition beers, released by Carlsberg to celebrate the launch of Fallout 4. I'll go into a little more detail soon about them, but all I'll say right now is that they're pretty disappointing. And lastly, the Fallout 4 Loot Crate! Again, we'll go over this in a bit more detail in the coming days, but this isn't as great as I was hoping. Realistically, it is worth the money. It retailed at $100 (plus $30 shipping outside of the US), which converted to approx £88. And in it, you get a selection of goodies that I'd say at least work out to that value. The only disappointing thing about it is that the types of goodies that you get in it aren't the most exciting. I don't really know what else we were expecting, but other than the hoodie (which is available for purchase separately), and the Dogmeat plush, both of which we knew about beforehand, the rest, whilst still nice, isn't anything out-of-this-world extraordinary. So, did you get any Fallout goodies today? As most of you will know, the Fallout 4 Pip-Boy Edition is one of, if not the most, highly coveted CEs of 2015. Here in the UK, it was a GAME exclusive. Pretty standard practise, as they do tend to get the monopoly of the "better" editions. Only, it also tends to be these "exclusive" editions that start an all out war with consumers up against GAME, and will no doubt lead to their downfall. Back in 2011, we had the infamous case of Uncharted 3 Explorer Editions being cancelled, due to them overselling. As well as Resistance 3 Survivor Edition, which was their sister company, Gamestation. Now it is four days till Fallout 4's release, and GAME have done it again. We are getting reports of hundreds of orders having been cancelled for the Pip-Boy Edition, for seemingly no reason. Claims that they couldn't take the payments as Paypal and various banks would not release the funds (however many customers have spoken to their payment authorities to be told that no such payment had even been attempted). So if it isn't a problem with payments, what is it? My money is on them overselling the editions again. Sadly, our preorder has been one of the many affected, and we are very unhappy about it. However there is a faint glimmer of light, as we have been told (after being on hold for 1 hour 40 minutes) that we will receive a callback to get our order replaced - something that others have been told is not possible. We arranged our callback with them back on Saturday last week, as I needed to change the delivery address from our old address to our new one. We still haven't received this callback despite it being nearly a week now, but have been told we're close to the top of the list now, so to expect our call "over the next few days". We have had our t-shirt for being in the first 10,000 orders, and our Vault Boy bobblehead is waiting to be picked up from the sorting office, so I don't know if being in the first 10,000 is why we're (apparently) getting our order replaced or not, but fingers crossed the outcome ends up good for us. And not at all surprisingly, in the current state of events, but our Call of Duty Black Ops 3 Juggernog Edition, which was due to come from GAME today is nowhere to be seen. Aaand we should have received a tracking number for it, as the order is over £100 (it's £179.99 *faints*), but nothing on that front either. Have you been affected by the Fallout 4 cancellations? Are you awaiting your Juggernog Edition? Entries to the Asylum - Thursday 5th November 2015. - Dragon Ball Z: Resurrection F Collector's Edition [Bluray]. - Monty Python and the Holy Grail Limited Edition Castle Box Set [Bluray]. Two very inexpensive, but really nice looking editions, both from Amazon.com - links to purchase are here for DBZ, and here for Monty Python. At the time of writing this post, both are listed at a fantastic price of $35~ each. The package I received also included two other small items, but those are stocking-filler-type gifts for Allan for Christmas, however I've got a feeling that he'll end up getting them early. Waiting on quite a few things in the mail at the moment, so be sure to check back for more "Entries to the Asylum" posts, as well as a quick overview video of the collection, some unboxings/reviews and of course, our Early Access live-stream of Rise of the Tomb Raider! - Destiny: The Taken King Collector's Edition [Xbox One]. Big thanks to our friend James, aka Cosmic_Link for helping us to get this edition. (And for carefully opening it up to give us the download code so we could play before he shipped it to us, haha). So what have you guys received today?